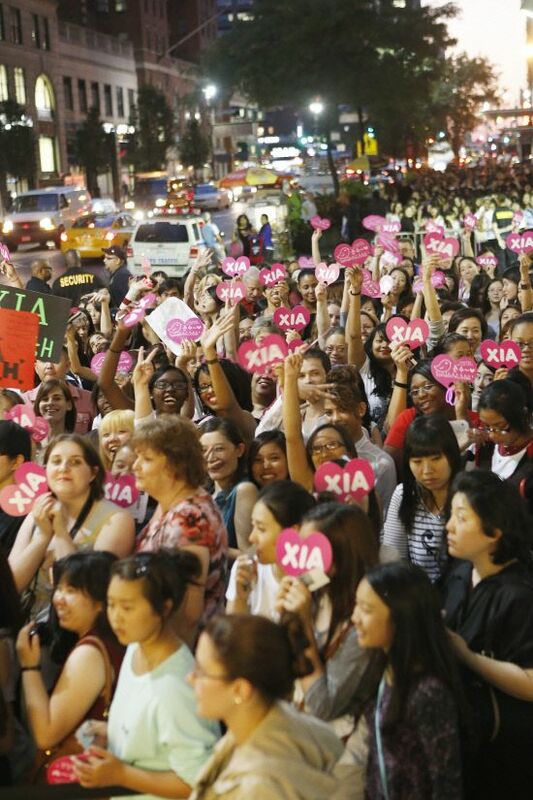 XIA, also known as JYJ‘s Junsu, lit up New York City on August 30 for the kick-off concert of his first world tour. It was his third time visiting the East Coast — Remember our secret show with JYJ back in 2010 when they stopped by New York City for their first showcase? And JYJ’s concert in Newark last May? But this concert in particular held special meaning to XIA, both as his first solo concert in the US and as the first stop on a world tour that would land him in Los Angeles, Mexico, South America and Europe. In New York, K-pop rewrote its history. 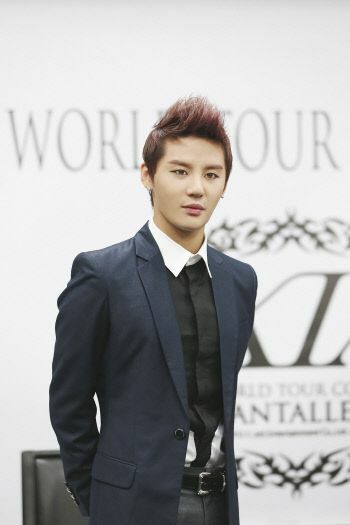 On August 30, JYJ member Kim Junsu started his first world tour in New York’s Hammerstein Ballroom. Until now, idol groups, girl groups, and agency ‘families’ have gone on these, but Kim Junsu is the fist solo artist to start a world tour alone. To that extent, the New York performance had a special meaning to K-pop. This was a breakthrough not only for Kim Junsu, but also for K-pop, which had been hampered by limited genres and artists. 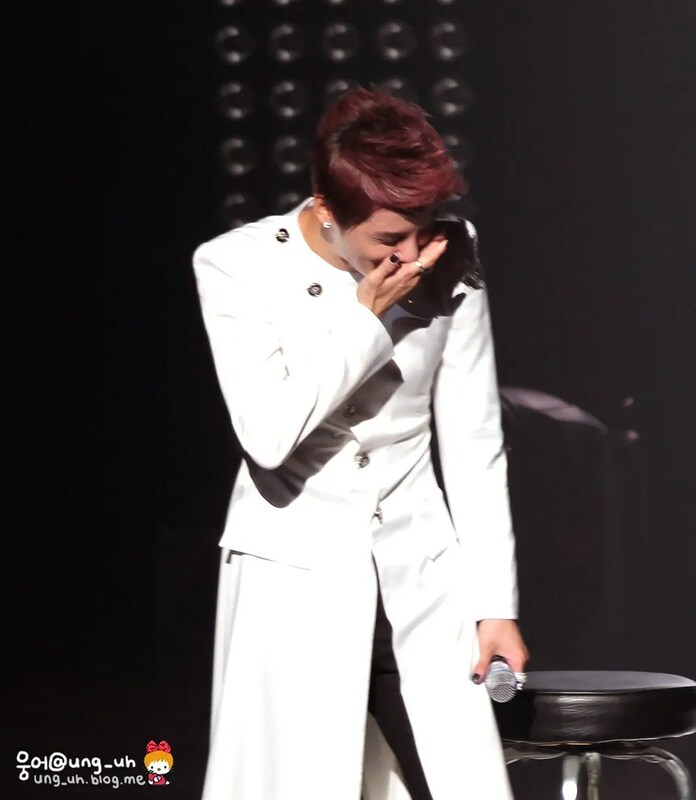 ▶ The reason why – even though he had gathered 100,000 fans before – Junsu only performed in front of 2000. No more words are necessary. Kim Junsu is an artist that represents K-pop. The group he belongs to, JYJ, shocked not only the Japanese media but also Korean music authorities because the group gathered about 100,000 fans within two days at the concert that was held in Tokyo Dome in June 2010. If you consider his fame, the small stage could be unfamiliar and awkward for him because the tour started in a stadium that could only hold 3000 people. The reaction of 2000 fans that were able to obtain the ticket was fanatic. It was easy to find many women fans in their twenties not only from Asia but also from U.S., Canada, and Spain. 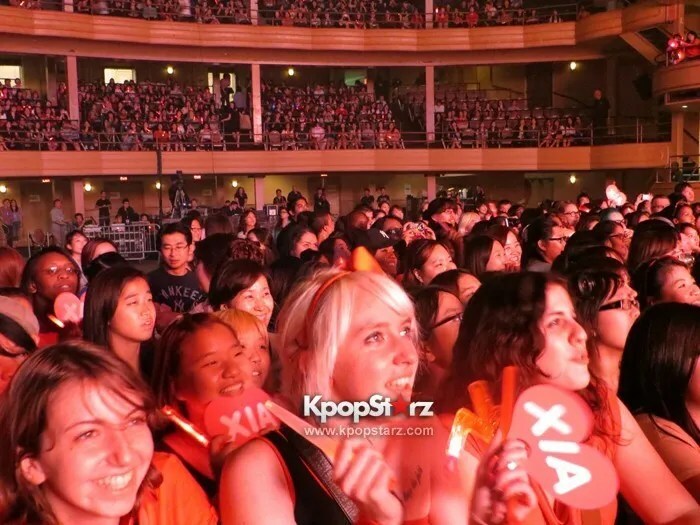 “Junsu“, “Junsu”, “Junsu”, chanted the crowd, at the Hammerstein Ballroom in New York City. 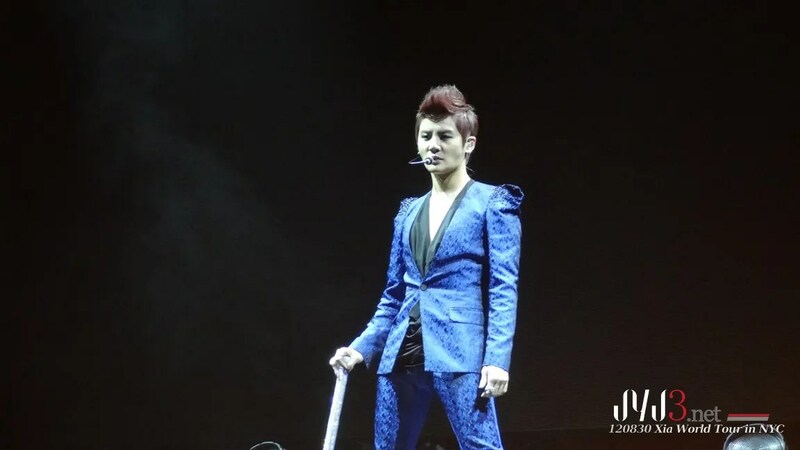 Xia, also known as Junsu, sat silently upon his throne at the top of the stage observing the crowd. It was about halfway through the concert on the first stop of his 1st Solo World Tour. The crowd continued to chant and scream for more. Xia who had just performed about 10 songs, many from his new album Tarantallegra, was calmly taking it all. The crowd had fallen in love. At the start of the show, Xia who had been lifted unto the stage on a moving platform was dressed in a blue suit with long black boots. He started off strong, with the first track on his new album, called “Breath.” “Breath” is a song with an urban pop theme and strong beats, to which Xia and his dancing crew seemed to move with in unison, effortlessly. 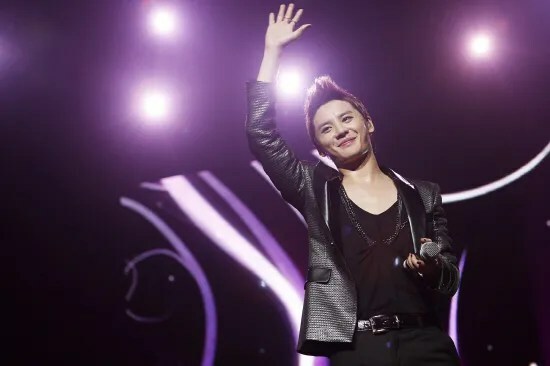 JYJ Kim Junsu (XIA) who started his domestic activities as a solo singer went beyond an Asia tour and began to hold exclusive concerts in the US, South America and Europe. Before starting his World tour as a solo singer in New York on August 30, Kim Junsu held a press conference to meet with Korean and American reporters at a hotel located in Manhattan, New York on August 29 (local time). Even though he immediately started his World tour after the Hong Kong finale concert on August 26 which concluded an Asia tour stopped by 6 countries including Korea, he showed up with confidence and no signs of fatigue at all. In his first solo activities, he has captivated domestic and overseas fans with his androgynous image, but he laughed and said “It is my intention and I am happy to hear that I look gay but I am not gay”. Prior to the Asia tour, last May, he released his first solo album ‘Tarantallegra’ and for the World Tour, his first English single called ‘Uncommitted’ was put on sale. The World Tour starts off in New York on August 30, goes on to LA on Sept 2, Mexico city on Sept 6, Sao Paolo – Brazil on Sept 8, Santiago – Chile on Sept 10, then it is planned to be continued in October in Europe countries like Paris – France etc. Next, here is the Q&A with solo singer Kim Junsu.